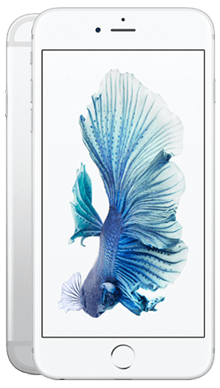 Select your desired options to find the best Apple iPhone 6s Plus deals for you. Apple truly have cemented themselves as the true market leaders in the smartphone industry. The technology giants have been manufacturing smartphones for over ten years now, featuring the most innovative technology and pioneering handset design that other manufacturers often try to emulate. In recent months we’ve seen the release of some of the most premium iPhone handsets ever, but that doesn’t mean that we should forget about the old favourites that still hold a place in our hearts. The iPhone 6 Plus was the first model and really changed the way that we saw smartphones. As one of the first ‘phablet’ style smartphones, it paved the way for those that followed, and many users now refuse to go back to the smaller screen. Taking one step further the iPhone 6S plus has all the pros that we received with the 6, but with a serious upgrade when it comes to features and software, making for a larger smartphone that is still a strong contender for anyone keen to get their hands on an iPhone. 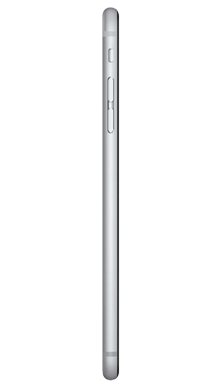 When you look at the iPhone 6S Plus, the phrase “if it ain’t broke, don’t fix it” immediately comes to mind; the design of the iPhone 6S Plus is identical to that of the 6 Plus and comes with a 5.5inch screen and a lightweight aluminium frame that is 7.3mm thick, resulting in a larger handset that still manages to feel somewhat compact. The 6S Plus comes reinforced with ion-strengthened glass and oleophobic coating to eliminate any worries around a fingerprint smeared screen. But while this extra protection does add to the durability of the handset, we know how it feels when you accidentally smash or crack your iPhone screen, and it can often cost a lot of money to repair and replace features, so for that reason alone we would highly recommend investing in a screen protector and a good quality screen. If you’re a style-conscious smartphone shopper then don’t worry as the iPhone 6S Plus, like its smaller counterpart, comes in four attractive colourways. You have a choice of Space Grey, Silver, Gold or Rose Gold, so you can be sure that there is an iPhone 6S Plus to suit your individual style. Like the iPhone 6S, the screen quality of the 6S Plus doesn’t differ from its predecessors, but again with a standard so high there wasn't much need for change. Even now, years later, colours and detail still come across well, with hues that appear far more natural than other handsets, and a strong contrast that balances the vibrant colour palette perfectly. We’ve raved about the Apple built processors that you find in a range of iPhones, and the A9 chip that appears in the iPhone 6S Plus is no different and gives the display a much-needed boost when compared to older handsets. 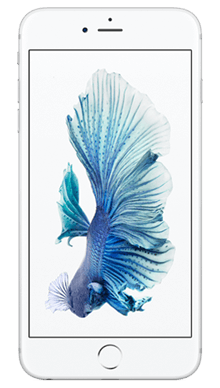 It delivers brilliant graphics to bring users a top class experience, whether you’re a gaming fan or use your iPhone for watching films or TV shows, and really proves that the iPhone 6S still holds its own against major competitors even today. Where the iPhone 6 Plus had a good audio experience, the iPhone 6S Plus’ is great. Rhythm is expressed really well when playing music on the 6S Plus, with pretty much perfect timing and a crisp, clear sound that handles a range of different instruments exceptionally well. One added bonus of going for an older iPhone handset is that you still have the traditional luxury of a headphone jack, meaning that you don’t have to worry about going shopping for a pair of wireless headphones just because you’ve changed your smartphone. The iPhone 6S Plus has a camera set up that is identical to that of it’s smaller sibling. While we would have appreciated a slight upgrade, it’s still a great camera that produces some top quality photos for the time of its release. The 6S Plus comes equipped with a brilliant 12MP rear camera and owners of older iPhones will certainly notice the difference in photos that are delivered with a significant improvement in the quality, thanks to brighter colours and details that come across with much more definition. The front shooter also featured a major upgrade from a 1.2MP setup to a 5MP setup. This was a much-needed improvement, and its baffling to think that Apple managed to go so long at the top with smartphones that featured just 1.2MP sensors in their selfie cameras. As is now the standard, the iPhone 6S Plus comes with your trusty personal assistant, Siri, who is always there to lend a helping hand. You also have the choice of 16, 32, 64 or 128GB of internal storage, with 2GB of RAM so you can always make sure that you have enough space for all of your essential apps, your favourite photos and your most important files. The iPhone 6S Plus runs on Apple’s A9 chip to deliver a responsive and quick smartphone experience that won’t let you down. This means that whether you’re using the internet, playing games, or just running multiple apps to get a task completed, you’ll be able to do so without experiencing any delay or waiting for your smartphone to catch up. Where the smaller 6S fall at the hurdle when it comes to battery life, the 6S Plus is much better, and you can easily get a full day out with moderate use. If, however, you find yourself constantly attached to your iPhone, we’d recommend getting your hands on a portable charge or keeping the lightning cable close to hand just in case. The iPhone 6S Plus isn’t the newest iPhone on the market, but it is still beautifully designed and packs a lot of power, so shouldn’t be underestimated as a fantastic affordable option if you’re looking to get your hands on an Apple handset. Both screen and sound quality are great, meaning that whether your a music, film or gaming addict, you can always rely on your 6S Plus to deliver a fantastic audio and viewing experience. The camera received a long-awaited upgrade and even though there are now smartphones available with more powerful camera setups, the iPhone 6S Plus can still hold its own. The A9 chip delivers a fast smartphone experience with little to no delay, and the battery will more than likely see you throughout a normal day without having to recharge. As the Uk’s leading independent mobile phone retailer, here at Fonehouse we’re always on a mission to make sure we’re bringing our customers the very best mobile phone deal, so you can be sure that if you’re looking for the best iPhone 6S Plus deal, you’ve come to the right place. 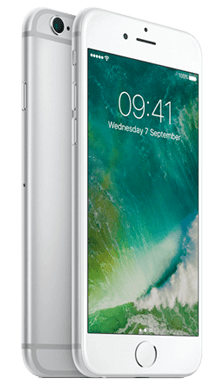 We’re delighted to bring you the very best Vodafone iPhone 6S Plus deals, and in addition to our great low prices, we also have some fantastic free perks available to complete your new contract, including entertainment subscriptions to the likes of Spotify, Now TV and Sky Sports. You can even take advantage of our great cashback offers, and find yourself with some spending money back in your pocket! If you prefer a different network, then we also have some of the best iPhone 6S Plus EE pay monthly deals on offer, giving you bags of data and the huge added benefit of 6 months free Apple Music! 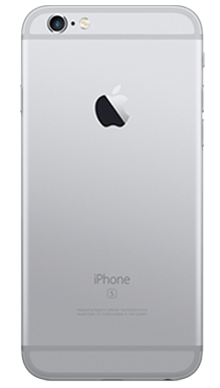 If you’re looking for the iPhone 6S Plus SIM-free, then it will, of course, cost a little more than the smaller 6S, but here at Fonehouse we have some of the lowest SIM-free prices, and with our next day delivery service, you could have your iPhone 6S the very next day and it won’t cost you a penny. If you can’t find the best iPhone 6S Plus deal online or in our stores, or if you’d just like to get some more information on the iPhone 6S Plus, why not contact us on 0333 900 1133 and our UK based customer service team will be on hand to guide you to the perfect deal for you.